Subject: Sorry I’ve been extremely busy…..hope this helps!! I have been very pleased with the results I have seen from my clients who have signed up with Vicky H. at RMCN. 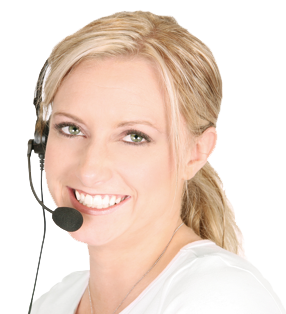 This is a credit service company you can truly turn to when you need help cleaning up your credit. RMCN has helped many of my clients be able to fulfill their dream of purchasing their own home by getting them to the approval level we need in our mortgage business. Global Mortgage Link, LLC appreciates all the help & will continue to send clients there way!! Over the past 2 years I have worked with Joe Camacho of RMCN and have been very, very satisfied with the results. My credit score jumped by 80 points in the first 6 months and is steadily increasing! I retained Joe’s services once and RMCN has stood behind me for the past 2 years. I heard about RMCN from a trusted friend and would recommend anyone who needed credit help to Joe and RMCN. Just wanted to thank RMCN Credit Repair and you, for doing such an outstanding job on my wife and I’s credit report. I am so pleased and satisfied with your all’s continued commitment for excellant results. Again, my wife and I sincerely thank RMCN and you Joe. I did refer someone to you just last week. He should be calling soon. His name is Steve B and he is a co-worker. I haven’t sent you anything in a long time as everything I owned was in a box, including your address, etc. Now I have a bunch of stuff for you and it will cost me a small fortune to mail it!! And yes, to answer your comment, I have seen a difference in the numbers. I never would have been able to get into my lovely house if it had not been for you and yours. These scores will continue to go up as more items are deleted from my record and I began to re-establish my credit history over the next few weeks. I told a friend about this company when I began the program. She was skeptical and decided not to get involved right away. She took advantage of the fact that she could see what the program did for me before she invested. I could not blame her because like her, I have had some bad experiences with companies who promised results and did not, and have even heard it said that these company’s are all scams. I felt I had no choice but to take a risk, and I am so glad I did. When I called my friend yesterday to give her a update, she was so excited that she immediately requested Joe’s number and cut our call short to speak with him. Now, like me she is on her way to getting her life back again. There is no better feeling than knowing your credit is no longer problematic and that you can buy the things you need in life without excessive interest rates. Rather than hearing NO! NO! NO!, I can now hear Yes! Yes! Yes! I can never say enough about how this program is changing my world. Thanks so much to Joe and RMCN for their devotion and professionalism. Attached is the credit report for Stan and Jill W that you started working with in March of this year. Clean report, disputes resolved and scores up. doesn’t get any better than that. they are very grateful that your work has allowed them to refinance their home and get their monthly payments down. I am very appreciative because you make me look like a genius!!! With the volume of correspondence my account has generated within the past few months working with RMCN, it would take a small business to keep up. In addition, Louis Pujol has treated my credit rating as if it were his own. Constantly keeping me informed, calling on various follow-ups, and continuously building a great business relationship. I strongly recommend the RMCN group for anyone serious about correcting credit deficiencies.